Thanks for visiting Enthusiast Photographer! This is the most popular post on the blog, but feel free to check out other posts, follow the blog, “Like” Enthusiast Photographer on Facebook or follow on Twitter if you’d like to join me on my photography journey or just want to read something different once in a while. If you’re here, you’re looking to solve a problem, so on to the information! 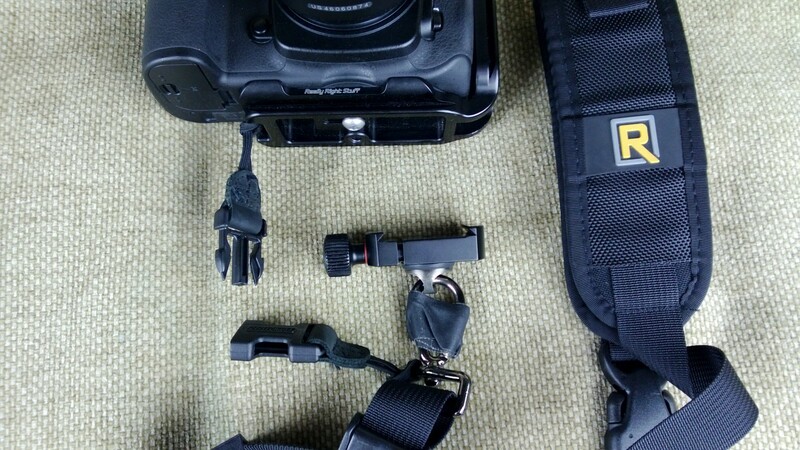 Here is a quick look at a really convenient solution to using a Black Rapid with an Arca-based tripod plate system without having to constantly un-screw the plates and the strap fastener. 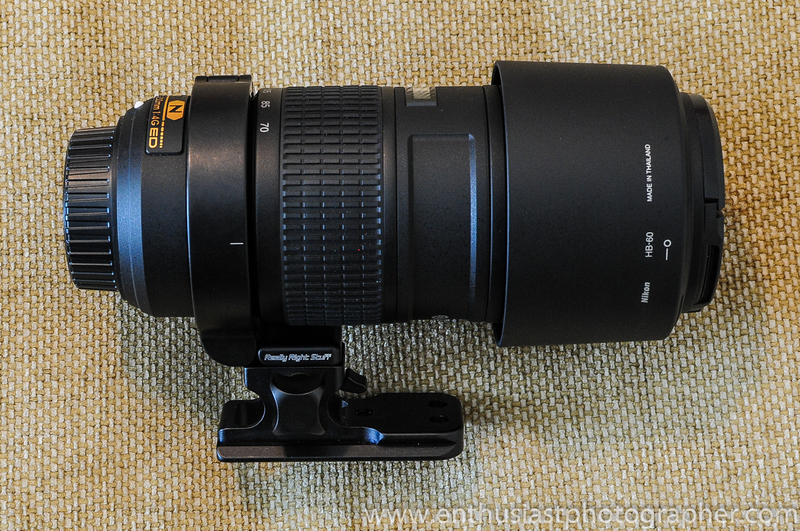 It think it is also a good solution as a “quick-release” for the Black Rapid system even if you don’t use tripods! 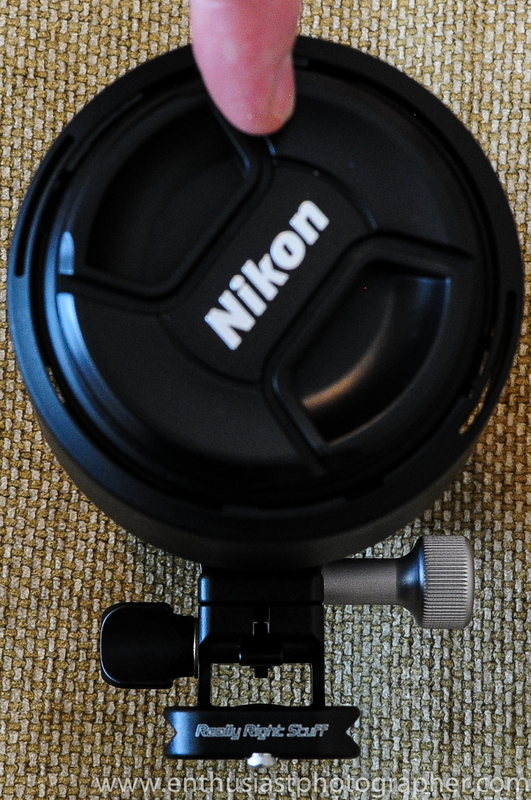 I’m a huge fan of my tripod, my Arca-Swiss system ball head and my Really Right Stuff L-bracket. 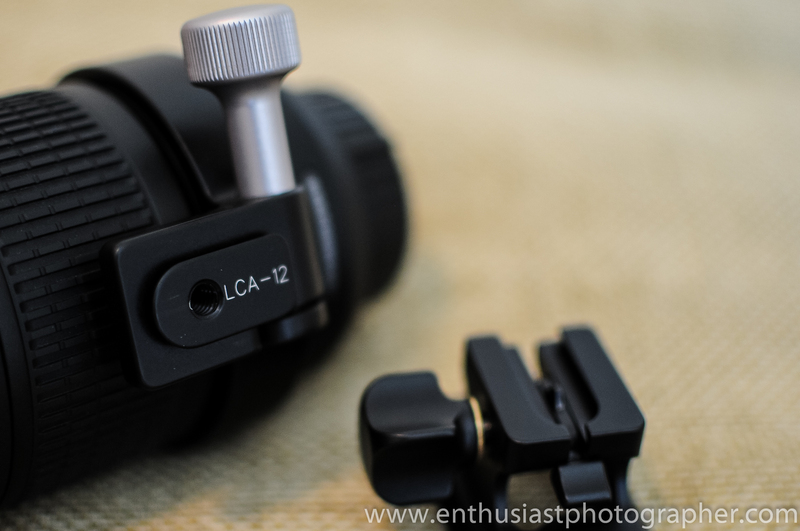 If you read my post “When Gadgets Collide”, I felt like my two favorite photography accessories were fighting each other – my tripod and my strap. I’ve put a video walk-through on my Vimeo Channel, but have a quick read of this article too. The video link is at the bottom of this page. 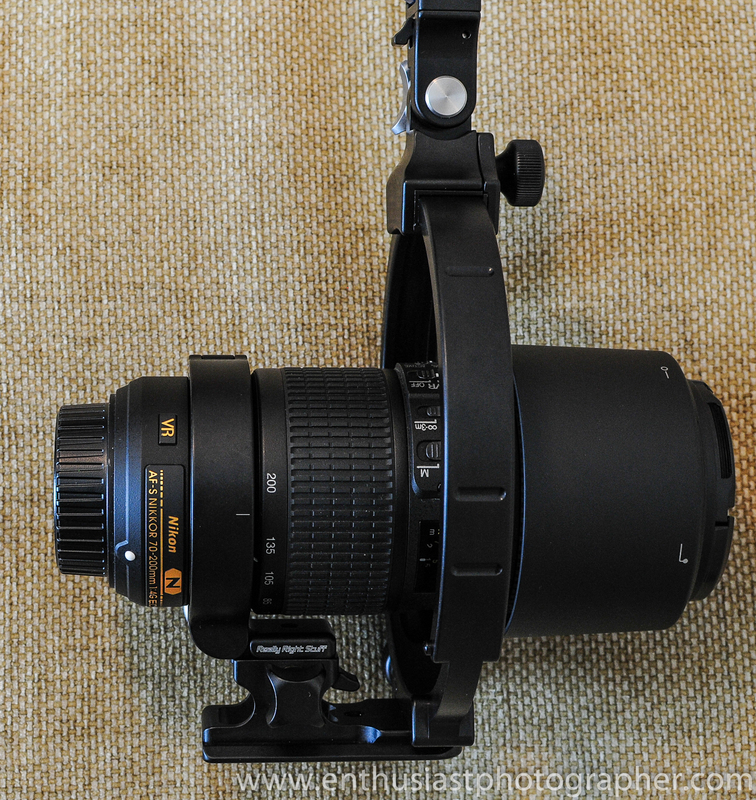 I saw a couple ideas on photography forums that I merged into this solution. 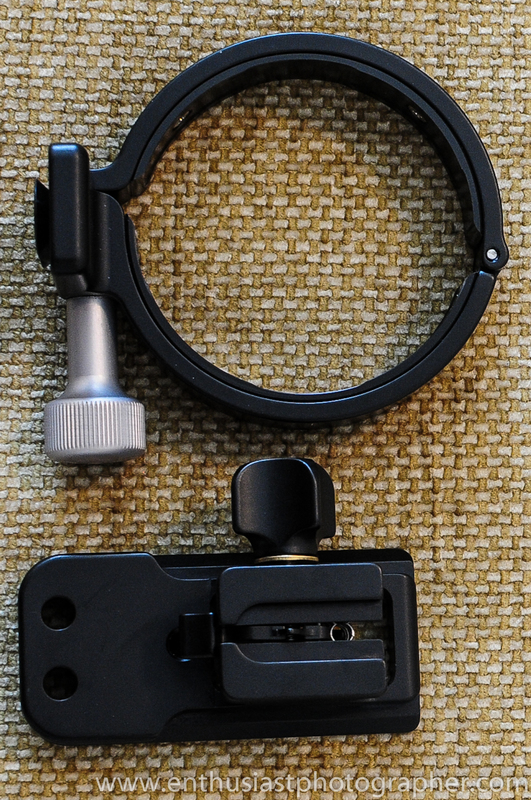 The components are simple: the Black Rapid “FastenR” nub is attached to a Kirk QRC-1 1″ screw-type quick release clamp with the Op/Tech Uni-Loop (Op/Tech part number 1301062 – B&H part number OPSCUNL) as a safety tether. I also got a small tube of Loctite Blue from the hardware store. Setup is easy. I put a little Loctite on the threads of the FastenR (which makes it very unlikely it will ever un-screw by accident), slightly moistened the rubber gasket and screwed it directly into the Kirk clamp. 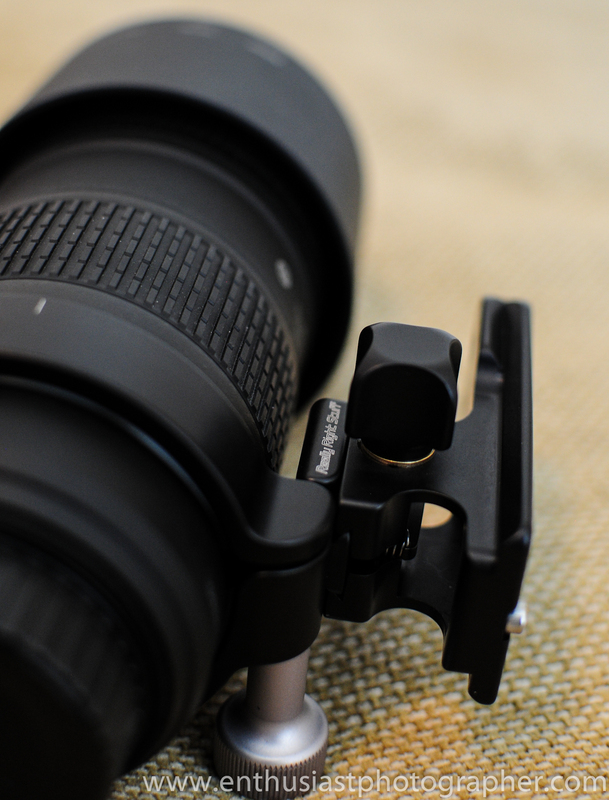 The Optech strap loops to the strap hole in the L-bracket on one end and the D-ring of the Black Rapid strap. The Kirk clamp mounts to my RRS L-bracket (or foot plate on my 80-200 f/2.8) with a few quick twists, so it is quick to put on or take off. It feels very tight and very secure – I don’t see this thing backing out. 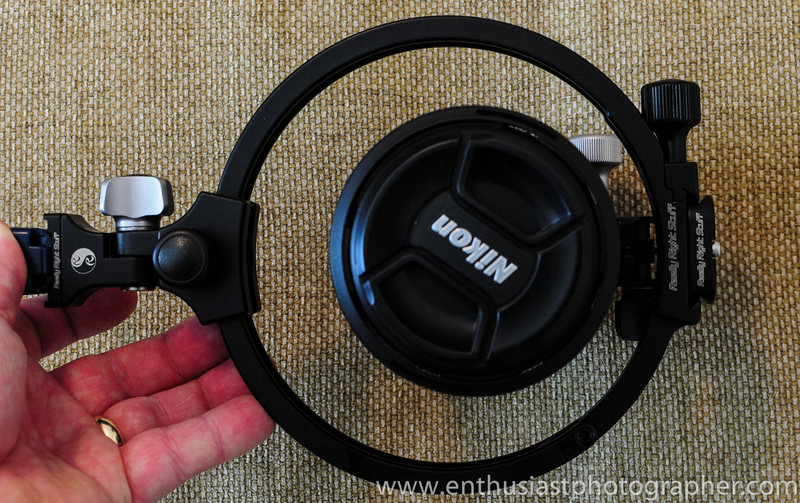 Just in case it does (or, more likely, I do something stupid), the Op/Tech strap is a safety tether. This makes it very secure, and proof against one of the more likely failure scenarios of the strap: the swiveling hook/carbiner wearing/coming loose or failing to tighen the carbiner nut enough resulting in a fall. Unlikely, but I tend to live in a world of realized implausible disasters ;). 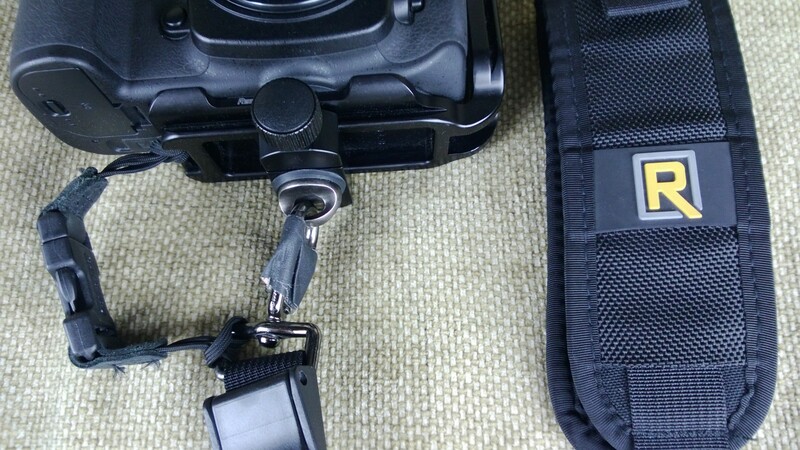 Mounting and un-mounting is easily faster than if I was screwing in the Black Rapid fastener nub (FastenR) – I’d estimate three seconds or less for the tether and the clamp, The safety tether is very inconspicuous on the L-bracket even when I’m not using my RS-7. 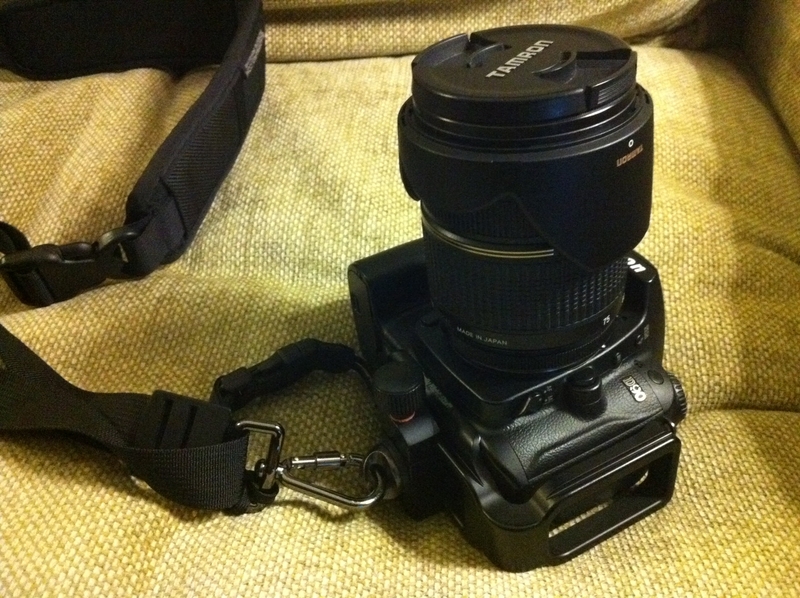 Now I’m excited that my two favorite photo gadgets are working together (my Arca plate and my BR strap). 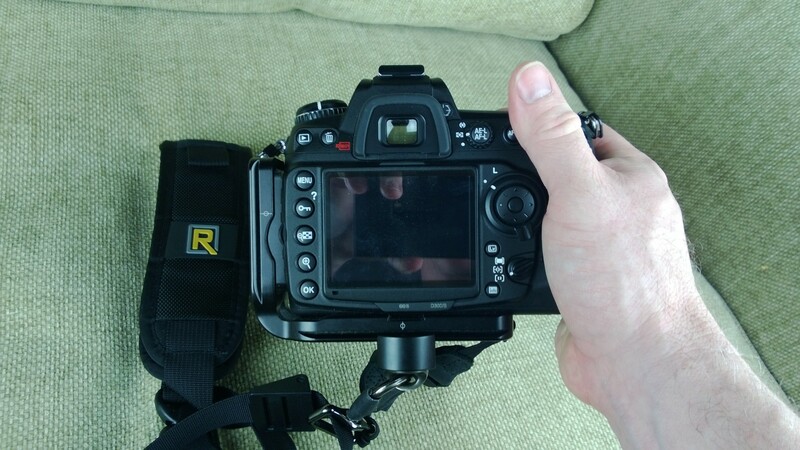 The setup even works fine when I’m using the massive 80-200 and connecting the strap to the foot-plate. All told it cost a little less than $50, but that seems a reasonable price for harmony while improving usability and safety! I did a video walk-through that can be found here. **UPDATE** I’ve wrapped a bit of gaffers tape around the carbiner since I never need to remove it from the “rig” and I’ve heard stories of the carbiner opening and dropping cameras. I have a safety tether, and I think most of those stories are the fault of the user, not the hardware, but why not take that risk out of the equation? After spending four hard weeks traveling recently, most with this strap seeing action all day every day, I’m very pleased with all aspects of this setup. The clamp has shown absolutely no signs of loosening during use, the safety tether has never gotten in my way and the Loctite has the FastenR securely fixed. 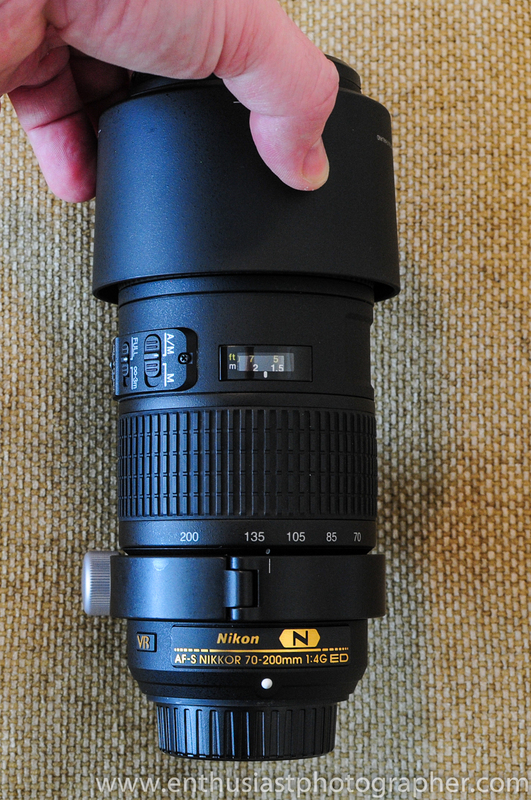 It carries well and is super-convenient – I love it! As an aside, I’d note that there are certainly less expensive clamps on places like eBay, but I felt like the clamp was a poor place to economize. The Kirk clamp is very solidly built and shows no signs of backing out, etc. 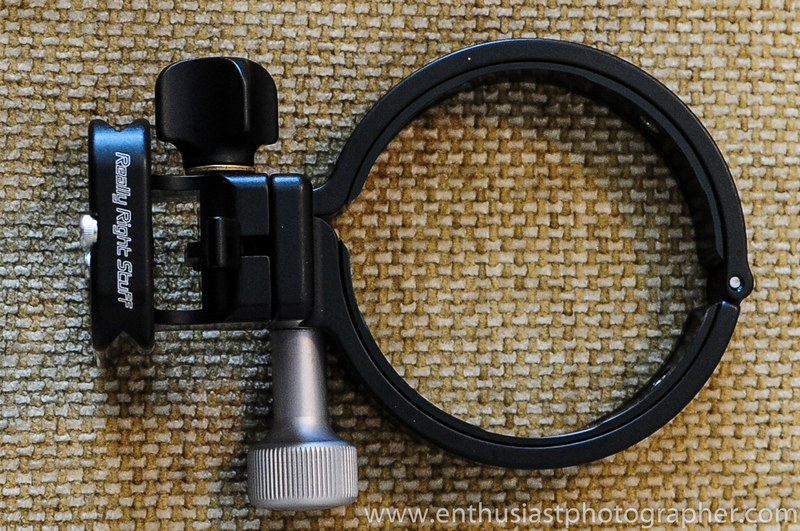 I’ve got a couple of Sunwayfoto clamps and they are very nice – I wouldn’t have any reservations about them either. 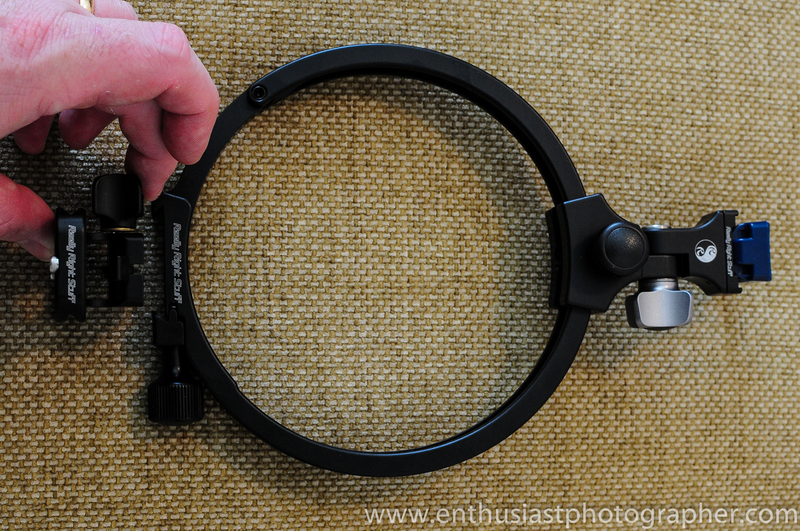 I’d get the smallest screw-type clamp you can get from a reputable company – go a little larger if you carry bigger camera/lens combinations. 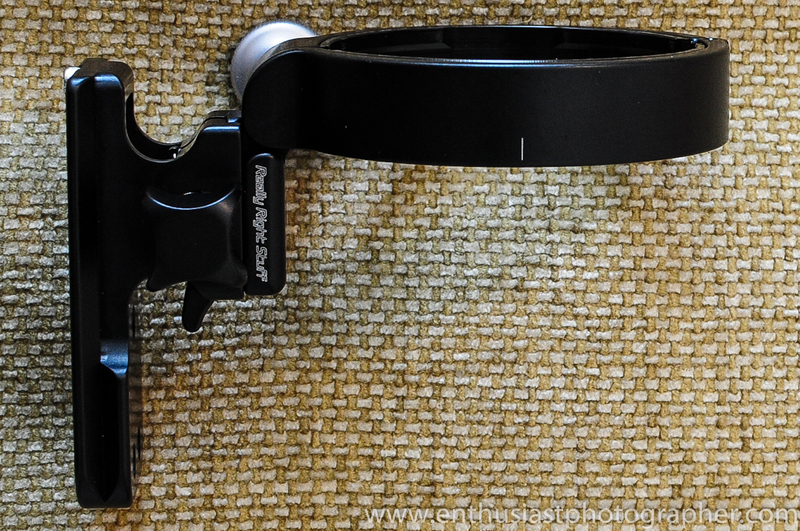 Recently I noticed RRS released a “nubless” version of their clamp, which I’m sure is awesome (though their photo of the setup has the knob pointed where your chin would be… :)). RRS makes great stuff (I own several of their products, including my L-bracket in this rig) – You can save at least $20 with Kirk or Sunwayfoto clamps, though my buddy loves his version of this rig using the RRS clamp. Readers: What do you think? Does this make you more comfortable with a Black Rapid strap?